Late stock car driver who won the 2004 NASCAR Craftsman Truck Series as a driver-owner as well as multiple Winston Cup titles. He was named NASCAR Rookie of the Year in 1991. He dropped out of school at thirteen and got his start at Nashville Speedway USA, where he won a title in 1987. He gained entry into the Winston Cup as a result of the skills he displayed while driving a car for the 1990 racing film "Days of Thunder." 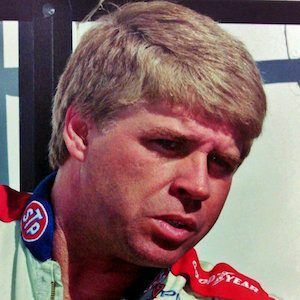 His son is NASCAR driver Bobby Hamilton, Jr. He and Kurt Busch both won NASCAR's Rookie of the Year award.